Sharp MX2630 NFK PLUS Photocopier - Photocopiers for sale and to lease from UK Photocopiers Direct : Sharp UTAX Toshiba ALL Models. Contact us now for best prices and service. Sharp MX2630 NFK PLUS Photocopier – Imagine an affordable office multifunction printer (MFP) that does everything you need. It is incredibly easy to operate – packed with power that anyone can use in an instant. 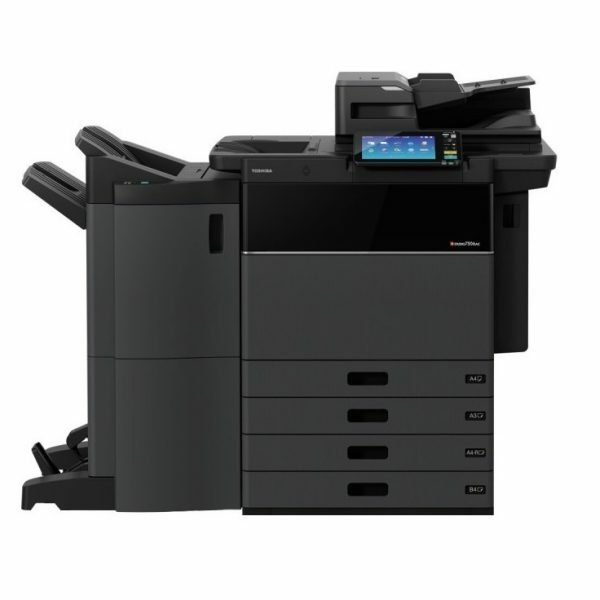 What you’re looking at is our Sharp MX-2630N A3 colour MFP. The print speed is a capable 26 colour pages per minute. Mobile devices can connect to it in moments. Security is strong but simple. Colours are vivid and the print quality, as you’d expect, is excellent. What’s more, we added a bright, adjustable colour touchscreen to give you fingertip access to every control. As everyone has different work habits, we’ve made the screen easy to customise. This allows everybody in your team to create their own personalised home page. Simple efficiency – the touchscreen supports the pinch, spread and slide gestures that you’re used to using on your phone. Fully customisable, we’ve given it an ‘Easy Mode’ which displays everyday functions such as ‘Scan’ and ‘Copy’ in large, immediately accessible icons. Print, scan, copy, connect, share, store – on its own or as part of a networked fleet. You’ll discover that the Sharp MX-2630N isn’t just another piece of office equipment, it’s an engine that drives office efficiency. The Sharp MX2630 NFK PLUS Photocopier 7.0” colour LCD touchscreen incorporates is easy to use is simple and intuitive to operate the MFP. And with the Advanced Preview function, you can edit pages easily, preview documents in various modes, and check document finishes and page layout in advance. For instance: have you ever clicked on ‘Print’ only to find the printer has run out of toner or that someone’s in the middle of a long print run? You can avoid that with the MX-2630N’s pull printing ‘Print Release’ feature. Click on ‘Print’ in the normal way and then get on with whatever you’re doing. You can collect your documents later, from whichever printer is most convenient. All you need to do is walk over, log on and start the print run. Not only is pull printing more convenient but it also reduces the chance of sensitive documents being left out in the open. Connecting phones and tablets to a printer used to be difficult and time consuming. You can print whatever you want, or scan documents directly to your phone, in moments. Simply move close enough to use NFC (that’s ‘Near Field Communication’) or use your phone to scan the QR code on the MX-2630N. Either way, all the configuration is done for you. Popular technologies such as Google Cloud Print™ and Apple AirPrint®, are all supported. Even without a phone or tablet you can make use of a USB memory stick for convenient walk-up printing and scanning.